Public History promotes social identity. It is, simultaneously, an opportunity, a danger and a challenge. 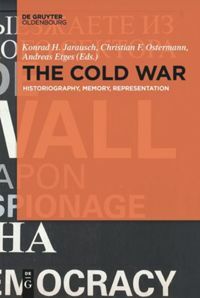 In particular, actors in Public History are required to take into consideration the need for identification as well as the necessity for reflected dissociation. 2015 is an anniversary year in Switzerland: In 1315, the Battle of Morgarten occurred. A force from Schwyz defeated the army of Habsburg knights under the command of Duke Leopold on the shores of Lake Ägeri. In 1415, the Swiss Confederates conquered the region of Aargau that was, at the time, still under Habsburg rule. In 1515, the Battle of Marignan took place. On the side of the Duchy of Milan, thousands of Swiss Confederates fought against the French King Francis I. They were devastatingly beaten. And, in 1815, the major European powers guaranteed Switzerland perpetual neutrality and its territorial integrity at the Congress of Vienna and in the second definitive Treaty of Paris. Back then, the national borders, which are still valid to this day, were set. Those currently involved in Swiss Public History are reminded of all of these events and other anniversaries in a number of ways. There is hardly a speech by a politician that does not use one of the anniversaries as a starting point or as an argument for conveying personal messages. Again and again, national identity is addressed, for example, in the speech given by Federal Councillor Ueli Maurer on the occasion of the Swiss National Day on August 1: “The lessons learnt from Morgarten, Marignan, the Congress of Vienna, or the “Rüetlirapport” (report on the Rüetli) originate from very different centuries. However, they are timeless. Being part of our common treasure of experiences, they have become a characteristic of our identity. Switzerland has oriented itself towards these lessons over a long period of time. And the country has done well. Our historical experiences have served as a compass to show the way towards the direction of freedom”. Of course, these anniversaries also have an impact on the Swiss exhibition landscape. Thus, the National Museum in Zurich, as well as the Museum of Swiss Charters in Schwyz, or the town hall in Sempach, for example, deal with the history of the Swiss Confederations. In Sempach’s town hall, the attic is devoted to the Sempach War of 1386, when Swiss confederate soldiers from Lucerne, Uri, Schwyz and Unterwalden weakened Habsburg-Austria’s power, which was dominant in this region at the time, to the extent that it was unable to retain its dominion. The exhibition also particularly deals with the story of the national hero, William Tell, and the eventful memory culture of the battle of Sempach. There is no doubt that history has an identity-forming effect at both an individual as well as at a collective level. As Jörn Rüsen puts it in his latest publication, “Historik” (Historics): “Forming identities is thus one of the most important if not the most important function of historical thinking in the practical life of its time”. All of us define ourselves on the basis of our experiences, events, and encounters with other people, and we look for characteristics that, to some extent, reliably characterize us, despite dynamic changes. This is a permanent balancing act. How can we manage to cope with new things and remain loyal to ourselves at the same time? Anybody who closely follows history, history teaching, or Public History quickly recognizes that attempts have been repeatedly made to make people adopt desired identities. The “reference parameters of the desired collective identities (confession, dynasty, individual state, nation, race or class)” and the targeted attitudes of individuals (freedom, obedience, equality, personal initiative, etc.) have, however, changed but, time and time again, individuals, groups, and states, exploit history for the purpose of gaining power. Of course, exhibition makers, politicians, as well as history teachers should provide accounts, or narratives, to which visitors, citizens, and students can respond: “Yes, I like that and it makes sense to me. That’s the way I would also like to act. That suits me.” This would then probably correspond to what Elsasser means by “an affirmative view”. But a narrative that sets norms must not remain the only one provided, neither in Public History nor in history teaching. Open societies and responsible conveyance of history are characterized by the fact that different interpretations are made possible. Not “one single affirmative view” is conveyed; instead, plausible views are provided that the users weigh up, compare, and from which they draw their conclusions. To this end, critical thinking is needed. Responsible providers of Public History assume that users are willing and able to think independently and critically, and they promote this kind of critical thinking with their contributions. Rüsen, Jörn: Historik. Theorie der Geschichtswissenschaft (Historics, Theory in Historical Science). Köln, Weimar, Wien: Böhlau Verlag, 2013. 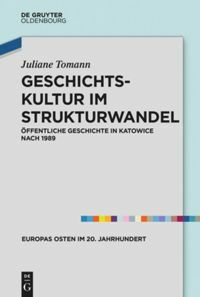 Bergmann, Klaus: Geschichtsunterricht und Identität (History Teaching and Identity). In: Same: Geschichtsdidaktik. Beiträge zu einer Theorie historischen Lernens. (History Didactics. Contributions on a Theory of Historical Learning). Schwalbach/Ts. : Wochenschau Verlag, 2008 (3.). Straub, Jürgen: Identität (Identity). In: Jaeger, Friedrich / Liebsch, Burkhard (Eds. ): Handbuch der Kulturwissenschaften. Grundlagen und Schlüsselbegriffe (Handbook of Cultural Sciences. Fundamentals and Key Terminology). Vol. 1. Stuttgart: Carl Ernst Poeschel, 2004. p. 277-303. Speech held by Federal Councillor Ueli Maurer on August 1, 2015: https://www.news.admin.ch/message/index.html?lang=de&msg-id=58209 (last accessed 18.08.2015). Critique by Kilian T. Elsasser of Various Exhibitions on the History of the Old Swiss Confederates: http://www.museumsfabrik.ch/ausstellungskritik-geschichte-der-alten-eidgenossenschaft.html (last accessed 7.11.2015). Useful short descriptions of the individual events are available in the multilingual Historical Lexicon of Switzerland: http://www.hls-dhs-dss.ch/ (last accessed 18.08.2015). Federal Councillor Ueli Maurer is a member of the Swiss People’s Party SVP. Its policy is marked by national-conservative positions favouring the unrestricted political sovereignty of Switzerland and a markedly conservative model of society. In the last national parliamentary elections, the party clearly became the strongest party, with a vote share of 26.6 per cent. The passage quoted here is an excerpt from the conclusion of his speech on August 1.; https://www.news.admin.ch/message/index.html?lang=de&msg-id=58209 (last accessed 18.08.2015). Elsasser, Kilian T.: Die Geschichte der Alten Eidgenossenschaft in neuen Schläuchen – eine Ausstellungskritik (The History of the Old Swiss Confederates in New Bottles – an Exhibition Critique). In: Bulletin 3/2015 der Nationale Informationsstelle zum Kulturerbe (National Agency for Cultural Heritage) NIKE, pp. 8-11. Accessible online at http://www.nike-kultur.ch/bulletin/archiv/bulletin-2015/nike-bulletin-32015/die-geschichte-der-alten-eidgenossenschaft-in-neuen-schlaeuchen-eine-ausstellungskritik/ (last accessed 18.08.2015). Rüsen, Jörn: Historik. Theorie der Geschichtswissenschaft (Historics, Theory in Historical Science). Köln, Weimar, Wien: Böhlau Verlag, 2013. Here p. 267. Schönemann, Bernd: Identität (Identity). In: Mayer, Ulrich; Pandel, Hans-Jürgen; Schneider, Gerhard; Schönemann, Bernd (Eds. ): Wörterbuch Geschichtsdidaktik (Dictionary of Historical Science). Schwalbach/Ts. : Wochenschau Verlag, 2009. p. 103. Cf. also: Gautschi, Peter: Vorbilder aus der Geschichte? (Role Models From History?) In: Public History Weekly 1 (2013) 4, DOI: dx.doi.org/10.1515/phw-2013-233 (last accessed 18.08.2015). The Hyperlink has been corrected by the editorial staff at the 7. November 2015. Two figurines in the attic of the town hall in Sempach illustrate the new power constellation after the battle of Sempach in 1386: The townsmen and Swiss confederates mount, the knights dismount and are seated. The seated figurine depicted presented here shows the Habsburg ministerial representative Hemmann von Rinach. He was the only one of his family who survived the battle. Like what happened to many knightly dynasties, the decisive battle at Sempach turned out to be a catastrophe and turning point for the Rinach family: many dead, castles destroyed and not rebuilt, manors eventually sold. Figurine: Provided by Atelier Marcel Nyffenegger, Flurlingen ZH. Picture credit: Photography by Charlotte Walker, wapico © Town hall of Sempach. Gautschi, Peter: Social Identity Through Public History. In: Public History Weekly 3 (2015) 25, DOI: dx.doi.org/10.1515/phw-2015-4410. Public History trägt zum Aufbau von sozialer Identität bei. Das ist gleichzeitig eine Chance, eine Gefahr und eine Herausforderung. Insbesondere Akteure der Public History sind gefordert, sowohl die Bedürfnisse nach Identifikation als auch die Notwendigkeit einer reflektierten Distanzierung und Herrschaftskritik zu berücksichtigen. 2015 ist in der Schweiz ein Jubiläumsjahr: 1315 fand die Schlacht am Morgarten statt. Die Schwyzer besiegten am Ägerisee das Ritterheer der Habsburger unter Herzog Leopold. 1415 eroberten die Eidgenossen den damals noch habsburgischen Aargau. 1515 fand die Schlacht von Marignano statt. Auf Seiten des Herzogtums Mailand kämpften Tausende von Eidgenossen gegen den französischen König Franz I. Sie wurden vernichtend geschlagen. Und 1815 garantierten die europäischen Grossmächte am Wiener Kongress und im 2. Pariser Frieden die immerwährende Neutralität der Schweiz und die Unverletzlichkeit ihres Gebiets. Damals wurde die bis heute gültige Landesgrenze festgelegt. Natürlich beeinflussen die Jubiläen auch die Schweizer Ausstellungslandschaft. So thematisieren beispielsweise sowohl das Nationalmuseum in Zürich als auch das Bundesbriefmuseum in Schwyz oder das Rathaus Sempach die Geschichte der Eidgenossenschaften. Im Rathaus Sempach ist der Dachstock dem Sempacherkrieg von 1386 gewidmet, wo eidgenössische Krieger aus den Orten Luzern, Uri, Schwyz und Unterwalden die damals in diesem Gebiet dominierende Macht Habsburg-Österreich so sehr schwächte, dass sie ihre Herrschaftspositionen nicht halten konnte. Die Ausstellung thematisiert insbesondere auch die Geschichte des Nationalhelden Winkelried und die bewegte Erinnerungskultur zur Schlacht von Sempach. Dass Geschichte identitätsbildend wirkt, und zwar sowohl auf individueller wie kollektiver Ebene, steht ausser Zweifel. Jörn Rüsen schreibt in seinem neusten Werk “Historik” sogar: “Identitätsbildung ist daher eine der wichtigsten, wenn nicht die wichtigste Funktion des historischen Denkens in der Lebenspraxis seiner Zeit”. Wir alle definieren uns aufgrund von Erfahrungen, Ereignissen und Begegnungen mit Anderen, und wir suchen nach Merkmalen, die uns trotz des dynamischen Wandels einigermassen verlässlich charakterisieren. Dies ist ein permanenter Balanceakt: Wie können wir gleichzeitig das Neue bewältigen und uns treu bleiben? Wer nun Geschichte, Geschichtsunterricht oder Public History aufmerksam verfolgt, erkennt schnell, wie immer und immer wieder versucht wurde, Menschen auf erwünschte Identitäten festzulegen. Zwar wechseln die “Bezugsgrössen der erwünschten kollektiven Identitäten (Konfession, Dynastie, Einzelstaat, Nation, Rasse oder Klasse)” und die angestrebten Einstellungen der Individuen (Freiheit, Gehorsam, Gleichheit, Eigeninitiative usw. ), aber immer wieder instrumentalisieren Individuen, Gruppen und Staaten Geschichte zur Überwältigung. Natürlich sollen Ausstellungsmacher, PolitikerInnen und auch GeschichtslehrerInnen Erzählungen anbieten, zu denen die BesucherInnen und SchülerInnen sagen können: “Ja, das gefällt mir und leuchtet mir ein. So handeln möchte auch ich. Das passt zu mir.” Das wäre dann wohl das, was Elsasser mit “affirmativem Bild” meint. Aber es darf weder im Geschichtsunterricht noch bei Public History bei der einen normsetzenden Erzählung bleiben. Offene Gesellschaften und verantwortungsvolle Geschichtsvermittlung zeichnen sich dadurch aus, dass mehrere Deutungen ermöglicht werden. Nicht “ein affirmatives Bild” wird vermittelt, sondern es werden plausible Bilder angeboten, die die NutzerInnen abwägen, vergleichen und aus denen sie ihre Schlüsse ziehen. Dazu ist kritisches Denken notwendig. Verantwortungsvolle AnbieterInnen von Public History gehen davon aus, dass die NutzerInnen willens und in der Lage sind, eigenständig und kritisch zu denken, und sie fördern dieses kritische Denken mit ihren Beiträgen. Rüsen, Jörn: Historik. Theorie der Geschichtswissenschaft. Köln, Weimar, Wien: Böhlau Verlag, 2013. Bergmann, Klaus: Geschichtsunterricht und Identität. In: Ders. : Geschichtsdidaktik. Beiträge zu einer Theorie historischen Lernens. Schwalbach/Ts. : Wochenschau Verlag, 2008 (3.). Straub, Jürgen: Identität. In: Jaeger, Friedrich / Liebsch, Burkhard (Hrsg. ): Handbuch der Kulturwissenschaften. Grundlagen und Schlüsselbegriffe. Bd. 1. Stuttgart: Carl Ernst Poeschel, 2004. S. 277-303. Rede von Bundesrat Ueli Maurer zum 1. August 2015: https://www.news.admin.ch/message/index.html?lang=de&msg-id=58209 (zuletzt am 18.08.2015). Kritik von Kilian T. Elsasser zu verschiedenen Ausstellungen zur Geschichte der Alten Eidgenossenschaft: http://www.museumsfabrik.ch/ausstellungskritik-geschichte-der-alten-eidgenossenschaft.html (zuletzt am 7.11.2015). Hilfreiche Kurzdarstellungen zu den einzelnen Ereignissen finden sich im mehrsprachigen Historischen Lexikon der Schweiz: http://www.hls-dhs-dss.ch/ (zuletzt am 18.08.2015). Bundesrat Ueli Maurer ist Mitglied der Schweizerischen Volkspartei SVP. Die Politik der SVP ist geprägt durch nationalkonservative Positionen für den Erhalt einer uneingeschränkten politischen Souveränität der Schweiz und ein betont konservatives Gesellschaftsmodell. Auch aus den letzten gesamtschweizerischen Nationalratswahlen ging die Partei mit 26,6 Prozent Wähleranteil als klar stärkste Partei hervor. Die hier zitierte Passage stammt aus dem Schluß seiner 1.-August-Rede 2015: https://www.news.admin.ch/message/index.html?lang=de&msg-id=58209 (zuletzt am 18.08.2015). Kilian T. Elsasser: Die Geschichte der Alten Eidgenossenschaft in neuen Schläuchen – eine Ausstellungskritik. In: Bulletin 3/2015 der Nationale Informationsstelle zum Kulturerbe NIKE, Seiten 8-11. Online verfügbar unter http://www.nike-kultur.ch/bulletin/archiv/bulletin-2015/nike-bulletin-32015/die-geschichte-der-alten-eidgenossenschaft-in-neuen-schlaeuchen-eine-ausstellungskritik/ (zuletzt am 18.08.2015). Rüsen, Jörn: Historik. Theorie der Geschichtswissenschaft. Köln, Weimar, Wien: Böhlau Verlag, 2013. Hier S. 267. Schönemann, Bernd: Identität. In: Mayer, Ulrich; Pandel, Hans-Jürgen; Schneider, Gerhard; Schönemann, Bernd (Hrsg. ): Wörterbuch Geschichtsdidaktik. Schwalbach/Ts. 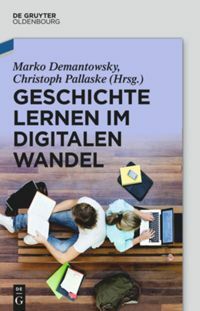 : Wochenschau Verlag, 2009. S. 103. Vgl. dazu auch: Gautschi, Peter: Vorbilder aus der Geschichte? In: Public History Weekly 1 (2013) 4, DOI: dx.doi.org/10.1515/phw-2013-233 (zuletzt am 18.08.2015). Der Hyperlink wurde am 7.11.2015 durch die Redaktion korrigiert. Fotografie Charlotte Walker, wapico © Rathaus Sempach. Zwei Figurinen im Dachstock des Rathauses Sempach veranschaulichen die neue Machtkonstellation nach der Schlacht von Sempach 1386: Die Städter und Eidgenossen steigen auf, die Ritter steigen ab und sind sitzend dargestellt. Die hier abgebildete sitzende Figurine zeigt den habsburgischen Ministerialen Hemmann von Rinach. Als einziger seines Geschlechts überlebte er die Schlacht. Wie für zahlreiche Rittergeschlechter wurde die Entscheidung in Sempach für die Rinach zur Katastrophe und zur Wende: viele Tote, die Burgen zerstört und nicht wieder aufgebaut, die Güter schliesslich verkauft. Nachweis zur Figurine: Atelier Marcel Nyffenegger, Flurlingen ZH. Gautschi, Peter: Soziale Identität durch Public History. In: Public History Weekly 3 (2015) 25, DOI: dx.doi.org/10.1515/phw-2015-4410. I couldn’t agree more – cultural identity should not be “formed” by experts but individually gained by offering various ways of interpretation, by pointing out connections, patterns etc. Actually we at Museum Aargau tried to shed a light on one of those events often misused by various generations:The Battle of Sempach in 1386. Das Zitat im Titel stammt aus dem Gedicht „lichtung“ des österreichischen Lyrikers Ernst Jandl und bringt die Konfusion, die der von Gautschi zurecht kritisierte Elsasser mit den Begriffen Affirmation und Identifikation anstellt, auf den Punkt. Wie in aller Welt kann jemand Bejahung, Gutheissung, Bekräftigung einer Geschichtsvermittlung „velwechsern“ mit dem übereinstimmenden Sich-wiedererkennen in einer historischen Darstellung! Selbstverständlich kann, darf und soll es im Umgang mit geschichtlichen Sachverhalten Affirmation geben. Wenn wir wie am 8. September 2015 im Zürcher Tages-Anzeiger lesen: „München leuchtet. Alle aussteigen: Tausende Flüchtlinge haben Deutschland erreicht. In München werden sie von freundlichen Polizisten und hilfsbereiten Bewohnern empfangen. Die Stadt vollbringt eine organisatorische Meisterleistung“, so mag man dem nicht bloss zustimmen. Ich empfinde für solche Haltung und Bereitschaft Hochachtung und bin jenen Menschen und Institutionen in München (und anderswo) tief dankbar für Vorbild und Ermutigung. Wer solche Humanitas nicht bejahen, gutheissen, bekräftigen wollte, dem wäre nicht zu helfen. Affirmation in geradezu idealtypischer Konstellation. Komplexer wird die Sache mit Blick auf die Flüchtlingsnot an der Schweizer Grenze in der Vergangenheit. Die Rede ist von zwei dramatischen historischen Herausforderungen. Beispiel A: Übertritt der Bourbaki-Armee 1871. Vom 1. bis 3. Februar passierten 87‘000 Männer bei Les Verrières, Sainte-Croix, Vallorbe und im Vallée de Joux die Schweizer Grenze. „Überall leistete die Bevölkerung grossmütig Hilfe. Der Bundesrat verteilte die Internierten auf alle Kantone (ausser das Tessin). Dies war die erste grosse Internierung in der Schweiz“, ist im HLS nachzulesen. 87‘000 Mann innert drei Tagen, überall grossmütige Hilfe. – Beispiel B: „Das Boot ist voll.“ Das Zitat stammt aus einer Rede Bundesrat von Steigers am 30. August 1942 in Zürich-Örlikon. Nach Alfred A. Häsler belief sich die Gesamtzahl der Zivil- und Militärflüchtlinge in der Schweiz damals, am 31. Juli 1942, auf 8‘300 Personen. Nimmt man als Referenzgrösse das Ergebnis der Volkszählung in der Schweiz von 1941 von 4‘266‘000 Personen, sassen im stark besetzten Rettungsboot – jedenfalls im Zeitpunkt jener Aussage – 0,194 % Flüchtlinge. Was die beschränkten Vorräte betrifft: Knapp 2 Promille einer Bevölkerung (Flüchtlinge) essen von einem Kilo Brot zwei Gramm. Auch wenn man den Zweck der Geschichte nicht darin erkennt, quasi mit flammendem Schwert durch die Jahrhunderte zu fahren, um die Guten von den Bösen zu trennen: Ist Affirmation gefragt gegenüber der Politik Bundesrat von Steigers, der „seine Politik mit dem beschämenden Wort vom ‚vollen Rettungsboot‘ beschönigte“, wie es Hans Ulrich Jost formulierte? Menschen, die aufgerufen waren, im „Zeitalter der Extreme“ schwerwiegende Entscheide zu fällen, verdienen grösstmögliche Subtilität der Analyse, was diese Entscheidungen betrifft. Affirmation ist dabei niemals ein Selbstläufer – Identifikation dennoch möglich. Man kann sich identifizieren mit dem angemessenen Umgang einer Gesellschaft mit ihrer Geschichte. Das schliesst den souveränen Umgang mit Fehlleistungen, ja sogar mit Verbrechen der Vergangenheit mit ein. In diesem Sinne muss mit Hochachtung erfüllen, wie Deutschland seit Jahrzehnten mit seiner Vergangenheit umgeht. Die Schweiz hat ihre Flüchtlingspolitik im Zweiten Weltkrieg spät und zaghaft aufgearbeitet, das Einsetzen einer Unabhängigen Expertenkommission Schweiz Zweiter Weltkrieg in den 1990er Jahren ist und bleibt aber eine Einladung zur Identifikation, zu einer Art Bekenntnis mit einer Gesellschaft, einer Behörde, die gewillt ist, sich ihrer selbst historisch vorbehaltlos zu vergewissern. „Die im Folgenden dargestellten Abschnitte der Geschichte unseres Landes werfen vielleicht mehr Fragen auf, als sie beantworten. Es ist sogar zu hoffen, dass sie den Leser weder beruhigen noch mit Befriedigung über die Leistungen der Schweizer erfüllen, sondern zum Nachdenken über die Möglichkeiten der menschenwürdigen Bewältigung von Gegensätzen und Problemen anregen.“ Martin Körner formulierte diesen programmatischen Ansatz nicht im Zusammenhang mit der Flüchtlingsproblematik, sondern mit Blick auf „Glaubensspaltung und Wirtschaftssolidarität (1515–1648)“, was zeigt: Das Thema kann beliebig wechseln, der Ansatz bleibt in Stein gehauen. Affirmation und Identifikation velwechsern? Ernst Jandl schliesst sein Gedicht mit der Feststellung: werch ein illtum! http://www.hls-dhs-dss.ch/textes/d/D26892.php, Hervé de Weck (08.09.2015). Messmer, Kurt: Keine Geschichte ohne Geschichte der Geschichte – Beispiel Flüchtlingspolitik, in: Markus Furrer und Kurt Messmer (Hrsg. ): Die Schweiz im kurzen 20. Jahrhundert. 1914 bis 1989 – mit Blick auf die Gegenwart. Zürich 2008 (Pestalozzianum), S. 272-280, hier S. 272f. Jost, Hans-Ulrich, in: Geschichte der Schweiz – und der Schweizer. Band III. Basel/Frankfurt am Main 1983 (Helbing & Lichtenhahn), S. 179. Hobsbawm, Eric: Das Zeitalter der Extreme. Weltgeschichte des 20. Jahrhunderts. München Wien 1995 (Hanser). Messmer, Kurt: „Lügengebäude in den Schulstuben“? Fallbeispiel Flüchtlingspolitik der Schweiz im Zweiten Weltkrieg, in: Markus Furrer und Kurt Messmer: Kriegsnarrative in Geschichtslehrmitteln. Brennpunkte nationaler Diskurse. Schwalbach/Ts. 2009 (Wochenschau), S. 131-147. Unabhängige Expertenkommission Schweiz – Zweiter Weltkrieg: Die Schweiz, der Nationalsozialismus und der Zweite Weltkrieg. Schlussbericht. Zürich 2002 (Pendo). Körner, Martin, in: Geschichte der Schweiz – und der Schweizer. Band II. Basel/Frankfurt am Main 1983 (Helbing & Lichtenhahn), S. 7. Die Ausstellung im Rathaus Sempach ist der Typus Auslegeordnung. Weil in ihr alles angetippt wird, können ihr keine Fehler angelastet werden. Als Zielpublikum hat sie die Fachkollegen des Ausstellungsmachers, für den der schlimmste Vorwurf darin besteht, unwissenschaftlich zu sein. Nachteil dieser Ausstellung ist, dass sie ein breites Publikum ratlos zurücklässt. In meinem Public History Studium in den USA wurden solche Ausstellungen lakonisch mit der Frage “So what” (Was willst du damit sagen?) kommentiert. Die vielfältige Nutzung der Ausstellungsmedien bietet zwar Abwechslung, ist aber vor allem Ausdruck einer fehlenden Erzählung oder Dramaturgie. Die Disziplin Geschichte ist der Analyse und einer gewissen Distanz verpflichtet. Ausstellungen sind ein Medium der Kommunikation. In die Überlegungen, wie die Ausstellung konzipiert werden sollen, muss die Frage nach dem Zielpublikum mit am Anfang stehen. Vom Thema und Ort ist die Ausstellung im Rathaus Sempach geeignet, sich an ein breites Publikum zu richten. Dies heisst, dass neben der Wahl der einzusetzenden Medien auch eine plausible und affirmative Geschichte erzählt werden soll. Die Besucher sollten anschliessend die wichtigsten Fakten kennen und dabei eine Interpretation angeboten bekommen, die überzeugt oder auch nicht. Die Ausstellung im Rathaus Sempach vergibt die Chance, eine spannende und dramatische Geschichte zu erzählen, die für den Kanton Luzern wichtig war und ist. Es geht um eine kriegerische territoriale Ausdehnung der Stadt Luzern, um Risiko, Gewinner und Verlierer, Gewalt etc. Nicht umsonst gibt es in den USA den Curator of exhibition, der Bindeglied ist zwischen der Wissenschaft und dem breiten Publikum. Als mögliche Zielperson heutiger Museen und Ausstellungen (interessierter Laie, der didaktisch reifen, belehrt und geführt werden muss) verfolge ich mit Spass und Erstaunen die aktuellen Diskussionen zur Deutung – und Deutungshoheit – der Schweizer Geschichte: 2015, Jubiläumsjahr. Peter Gautschi weist auf die “problematische Forderung nach (einem) affirmativem Geschichtsbild” hin. Tatsächlich, Kilian T. Elsassers Forderung nach einer Geschichtsvermittlung, die affirmativ und identitätsbildend sein soll, muss selbst Nichthistoriker erstaunen: Das hatten wir doch schon, so hat doch Geschichte bis vor kurzem immer funktioniert. Noch in den 70er-Jahren erzählen Schulbücher gegen besseres Wissen die Heldentat Winkelrieds so, als ob Embedded Journalists dabei gewesen wären – nicht deklariert frei erfunden, aber affirmativ und identitätsbildend. Dann die 80er-Jahr-Welle der Aufklärer, die unser kollektives geschichtliches Falschdenken korrigieren wollten: Richtig und existent sei nur, was real nachgewiesen werden könne. Auch das war irgendwie affirmativ (im Sinn von befähigt werden, konstruktiv-richtig-aufgeklärt zu denken) und identitätsbildend. Womit in der Folge Winkelried zum geschichtlichen Schmuddelknaben verkam, den man beschämt irgendwo in der Versenkung verschwinden liess. Bis endlich die öffentliche Diskussion um den Begriff der Wirkungsgeschichte erweitert wurde. Da wird plötzlich sichtbar, wie Geschichte funktioniert, wie sie entsteht, wie sie sich verändert, wie sie nichtlinear und auch flächig wirkt, wie sie je nach Perspektive eine andere ist, wie sie auch – affirmativ und identitätsbildend – instrumentalisiert werden kann. Siehe Winkelried. Womit wir beim Museum Sempach und seiner 2014 eröffneten Schlacht-bei-Sempach-Winkelried-Ausstellung wären. Wie Elsasser treffend sagt, ist sie eine Auslegeordnung. Was er despektierlich meint, ist für mich eine Qualität. Sie ist Archiv und Wunderkammer zugleich. In bester Dachbodenmanier ist dort alles gesammelt und ausgelegt, was es zum Thema gibt. Faszinierende Quellen und Objekte als Zeitzeugen quer durch die Zeiten. Und – auch dies eine Qualität – jederzeit erweiterbar durch weitere Fundstücke; Geschichte ist ja nie fertig. Das Besondere ist jedoch die Begleitung der BesucherInnen. Individuell ausgerüstet mit einem individuell steuerbaren elektronischen Guide macht man sich auf Entdeckungsreise. Der Guide vermittelt, vernetzt, vertieft, verweist. Geschichte wird nicht linear eingedampft, sondern in ihrer Komplexität, in ihrer Wirkung, in ihrer Vielfalt gezeigt. Texte und Filme schaffen Querbezüge und Einstiegsmöglichkeiten, erwähnt seien hier nur die genialen fiktiven Tagesschau-Beiträge vor und nach der Schlacht. Und auch die Objekte bieten individuelle Einstiegsmöglichkeiten in die Thematik. Die Schlacht bei Sempach und die Entstehung der jungen Eidgenossenschaft kann also durchaus via Rapper Stress und seinen Winkelried-Auftritt – samt Winkelried-Navyboot-Turnschuh – aufgerollt werden. Diese Faszination der Objekte ist verblüffend. Deren 1:1-Präsenz ist eine unterschätzte Stärke, wie sie nur ein Archiv oder eine Ausstellung – aber kaum eine Abbildung – ausspielen kann. Über die Aufgabe von Museen und die Führung der Besucherinnen und Besucher ist schon viel nachgedacht worden. Unbedingt verwiesen sei hier auf einen Aufsatz zu Museumstrends in Deutschland. Diese immer noch spannende d‘Tour d’Horizon von 1994 nennt Themen, die auch heute bekannt vorkommen: “(…) dass das Verhalten der Museumsbesucher eher massenmedialen Charakter trägt und weniger einen systematisch-zielgerichteten (schulischen) Bildungscharakter aufweist. Er (Treinen) charakterisierte das Verhalten der Besucher mit Begriffen wie kulturelles window-shopping oder gar mit dem Begriff aktives Dösen”. Besucherinnen und Besucher wollen also selber denken und nicht didaktisch richtiges lineares Denken vorgedacht bekommen oder gar mit Denkverboten belegt werden. Sie wollen fasziniert und berührt werden – und brauchen geeignete Zugangsmöglichkeiten. Das Museum Sempach hat mir den Zugang geöffnet zu unserem Stanser Winkelried-Denkmal, das im Jubiläumsjahr 2015 genau 150 Jahre alt geworden ist. Aus der Faszination ist ein umfassender, vielfältiger Winkelried-Sommer in unserer Gemeinde entstanden, der kürzlich am Europäischen Tag des Denkmals mit einer Führung, ausgeschrieben in der NIKE-Broschüre, abgeschlossen worden ist. Der Titel der Führung lautete: Winkelried, “Das erste Nationaldenkmal der Schweiz”. Diese war weder affirmativ noch identitätsbildend, sondern faszinierend und informativ – mit der nötigen Distanz zu einer spannenden, kontroversen Figur und ihrer vielschichtigen Wirkung. Winkelried ist als Mythos Realität. Endlich. Immerhin verschaffte das einer Partei den nötigen Leerraum, um das Thema Identität in eigener Sache quasi neu zu bespielen. “Harald Szeemanns Wunderkammer, Die Faszination der Archive”, DU, Das Kulturmagazin, April 2009. 2015 erscheint Rapper Stress als Winkelried erneut. Diesmal in Königsfelden, innerhalb der Aargauer Ausstellungsreihe “1415 – Die Eidgenossen kommen” prominent in Szene gesetzt. Manfred Bötzkes, Bernhard Graf, Jochen Worsch, “Tradition und Faszination – Veränderungen und Trends von Museen in Deutschland”, in: Zeitschrift für Organisationsentwicklung 02/1994, Verfügbar unter http://www.zoe-online.org/content/default.aspx?_s=300723 (letzter Abruf 22.9.2015). Richtigerweise konzentriert sich die Ausstellung auf die plausiblen Fakten und lässt auch Winkelried beim Schlachtgeschehen weg. Er wird als Teil der historischen Mythenbildung und des modernen Marketings gezeigt. Diese Klarheit wäre der Präsentation und Interpretation der Schlacht auch zu wünschen. Warum kommt die Schlacht nur am Vortag in der Tagesschau vor, warum “berichtet” das Fernsehen am Abend der Schlacht nicht davon – und vielleicht sogar noch einmal einen Monat später? Die Schwäche der Ausstellung ist, dass diese nur den Mythos Winkelried entlarvt und kein neues Bild setzt. Nach der Ausstellung bleibt die Botschaft, dass Winkelried ein Mythos ist. Das ist zu wenig. Es muss eine neue idenditätsbildende Geschichte, vielleicht ein Drama, eine Narration als Erinnerung von der Ausstellung bleiben. Seit den 1960er Jahren versucht die Historikerzunft richtigerweise die Mythen zu zertrümmern. Dieses Jahr schaffte es Thomas Maissen sogar, Christoph Blocher in Argumentationsnöte zu bringen. Chapeau! Die grosse Gefahr dabei ist, dass mit der Konzentration auf die Demontage der Mythen diese immer wieder auch belebt werden. Von den Kommunikationswissenschaften weiss man, dass man nicht immer wieder von etwas sprechen soll, was nicht wahr ist. Falschen Interpretationen begegnet man eher, indem man eine neue Agenda setzt. Auf der einen Seite die Vorstellung, dass Ausstellungen (wie andere Medien der öffentlichen Auseinandersetzung mit Geschichte) immer nur positive, eindeutige Aussagen machen können, die frühere, als “falsch” entlarvte ablösen, aber letztlich im gleichen Gestus verbleiben, nämlich die eigene Aussage zu machen; und auf der andere Seite die “negative” Ausstellung, welche ältere Mythen und “falsche” Deutungen entlarvt, aber keine eigenen Aussagen machte; salopp: die den Besucher und Benutzer ratlos zurücklässt — sei es aus Überforderung, angesichts fehlender Informationen für neue Kontextualisierungen oder auch wegen mangelnder motivierender Denkangebote (“so what”?). Ist das wirklich die Alternative? Ich kann weder glauben, dass Museen in modernen, posttraditionalen und pluralen Gesellschaften so funktionieren können oder sollten, dass einfach alte Deutungen durch neuere (“bessere”) positive Angebote ersetzt werden, die Besucher aber im gleichen, letztlich rezeptiven Modus verbleiben wie bei der vorherigen; noch kann ich mir vorstellen, dass es auch nur möglich wäre, eine Ausstellung zu machen, welche keine einzige positive Aussage hätte. Ich kenne die hier angesprochene Ausstellung nicht, aber dass die Macher keinerlei eigene Deutungen hineingebracht hätten, kann ich mir eigentlich nicht vorstellen. Vielleicht sind sie nicht sichtbar genug. Das aber führt zu einer wirklich didaktischen Frage: Sind Museen und Ausstellungen nur Medien in dem (m.E. falschen) Sinne, dass mit ihnen Deutungen “übermittelt” werden — oder sind sie Medien in jenem weiteren (m.E. besseren) Sinne, dass in und mit ihnen (zwischen) Deutungen “vermittelt” wird? Das Museum braucht sich nicht (auch nicht aus Furcht vor “falschen” Deutungen oder gar “Indoktrination”) eigener (“positiver”) Aussagen zu enthalten, aber es müsste diese nicht im Gestus der Präsentation des besten gegenwärtigen Wissens ausstellen, welcher einfach das alte Wissen ersetzte, sondern es könnte (sollte, müsste) sowohl die alten Deutungen wie die eigene Deutung mit einer “aufgerauhten Oberfläche” präsentieren, welche sie als das erkennbar machen, was sie sind: als perspektivische Deutungen, die durch die Perspektive ihre Limitationen haben, aber auch ihre Bedeutung und Funktion gewinnen. Das aber erfordert eindeutig, Abstand zu nehmen von positiven Identifikationsangeboten mit einem neuen Geltungsanspruch, und diesen zu ersetzen durch eine Präsentation, welche in der Tat plurale Deutungen, Identifikationen darstellt und zur Reflexion anbietet. Das mag dann weniger ratlos machen als rein negative “Auslageordnungen”, insofern es erkennbare Angebote macht. Es hat dann aber auch nichts mehr zu tun mit Identitätsstiftung und Affirmation sondern viel mit Reflexion — und vielleicht auch mit der Förderung von Dialog und Reflexionsfähigkeit. In diesem Sinne würde ich Margret Omlin gerne deutlich zustimmen. « Theory of History Knowledge: Poor.